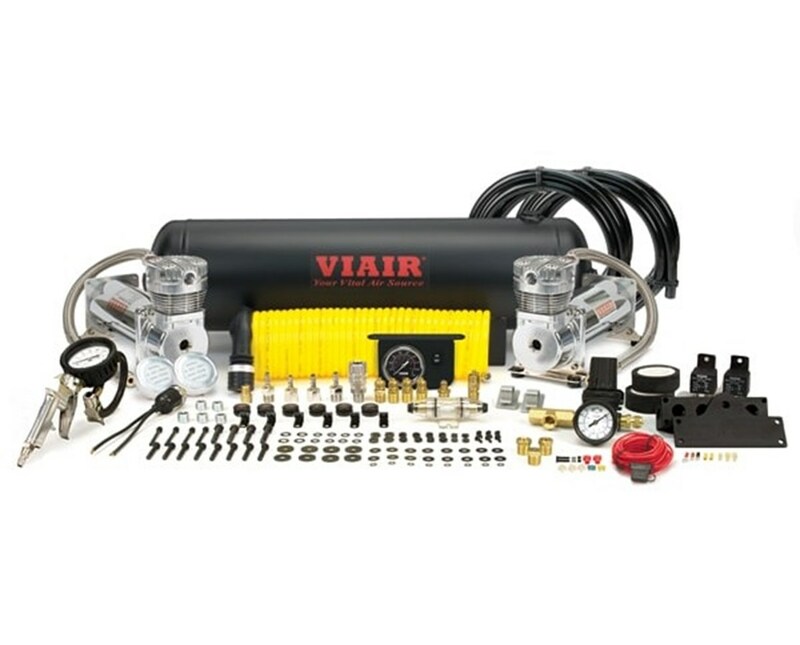 The Viair Dual 480C Onboard Air System is an ideal air source solution for any air suspension kit, industrial applications, air horns, or off-road pneumatic needs. It comes complete with two 480C Viar compressors, a 2.5-gallon air tank, an inline pressure regulator, and dash panel among others. Featuring an increased head port size of 3/8" NPT, it provides the highest CFM at 3.53 flow rate on 100% duty cycle compressors rated at 100 PSI. Made with high-quality materials and state of the art craftsmanship, the Viair Dual 480C Onboard Air System is designed to last long. It is equipped with a permanent magnetic motor and operates in a 12volt DC system with a maximum current consumption of 40 amps. Featuring an automatic thermal overload protector, it protects the air compressor from overheating and causing permanent damage. Designed to be installed and mounted onto the vehicle, the Viair Dual 480C Onboard Air System includes all parts needed for installation of onboard air solution for tire maintenance and pneumatic tools. It is moisture and dust resistant with an ingress protection rating of IP67. It also comes with a 1-year manufacturer’s warranty against defects. 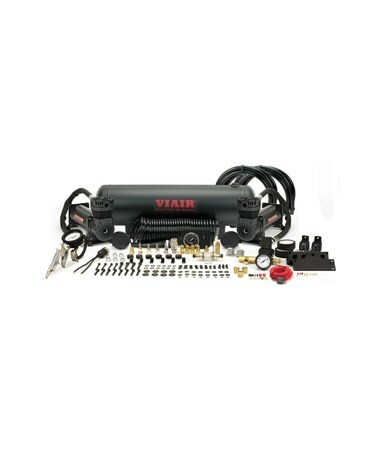 The Viair Dual 480C Onboard Air System is available in two different colors. Please choose from the menu above. Run time of 1 hr.